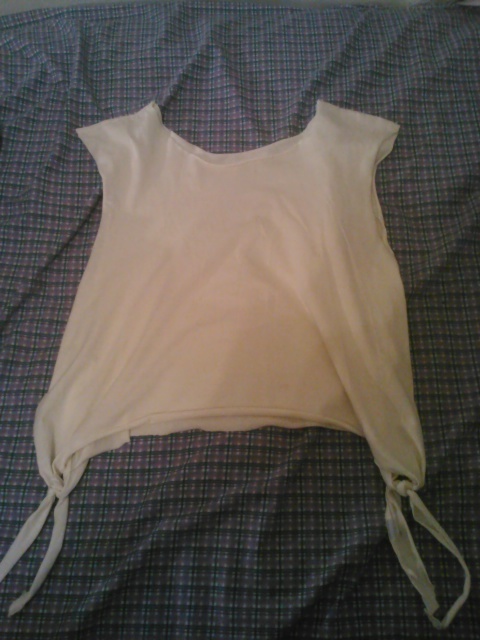 So here’s a DIY no sew Yoga Top! 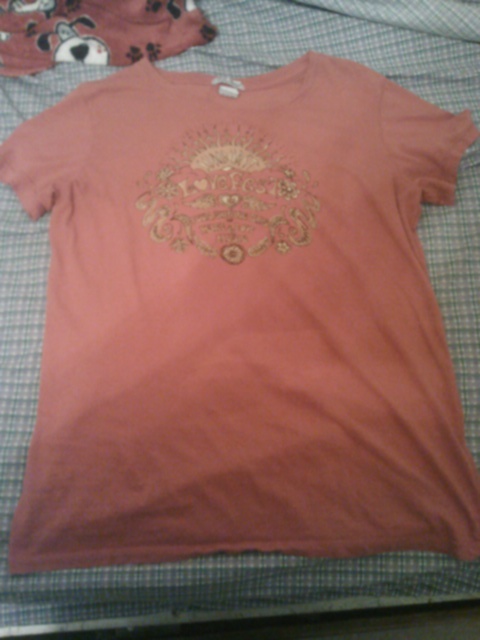 Again we start with a T-Shirt. Get one one to two sizes larger than what you normally wear. 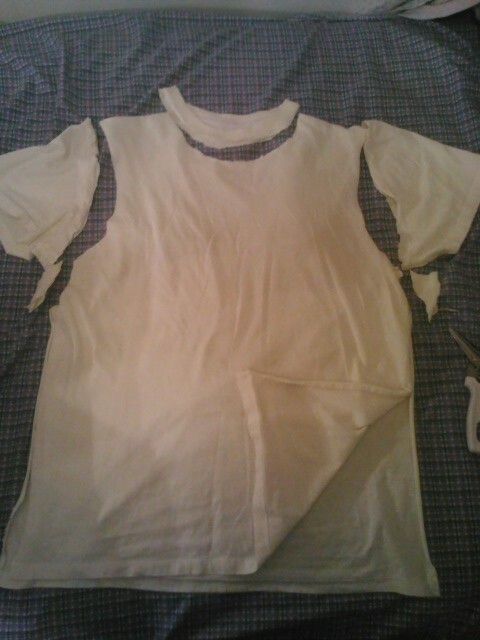 Cut off the arms and neck hem, and cut up the side hems (from the bottom to the arm pit) You can trim off the corners under the armpit if you want. 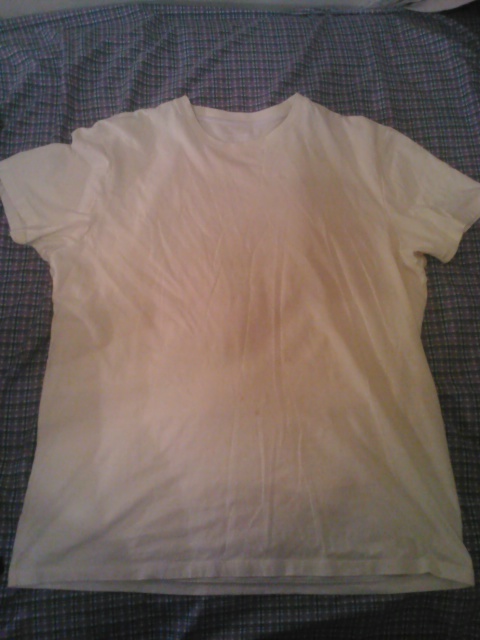 Fold on half “hot dog” style and cut a rounded square out of the bottom of the shirt. 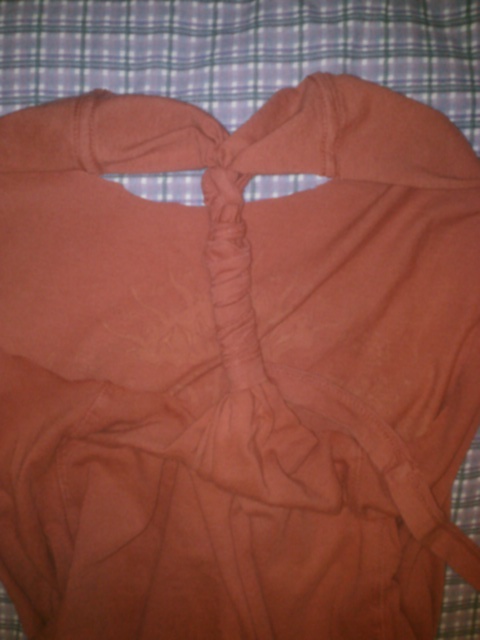 Open it back up, tie the bottom off, and pull the shirt to stretch out the ragged edges. 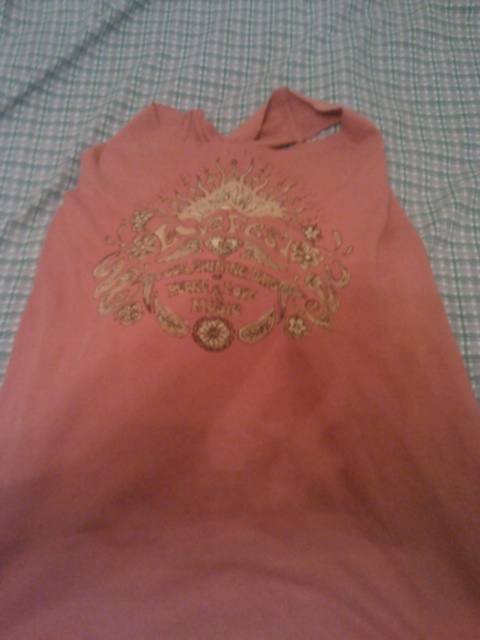 Wear over a sports bra or tank top and enjoy! Any questions? Leave a comment or check out our Facebook page, here! So what better way to boost my motivation and confidence, than to make my own! 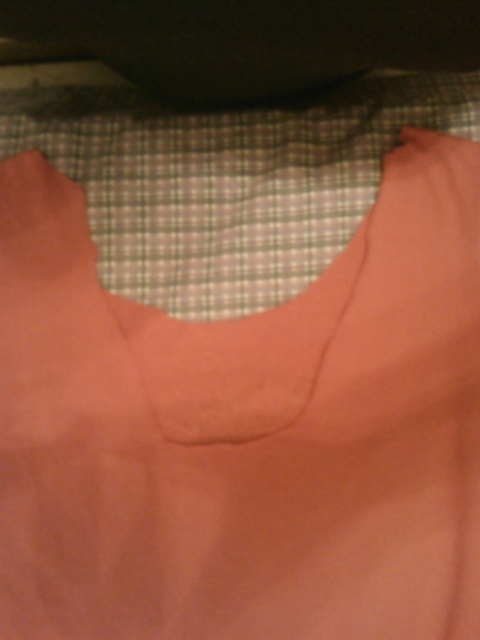 Cut off the arms, bottom hem, and neck hem. Turn it over. Cut a slight “V” shape. Adjust and make it deeper or shallower depending on how far down you want the racer back to go. Take the bottom hem and tie it around the top, making sure you leave enough room for your head (about an inch or so from the seam on the top of the sleeves). 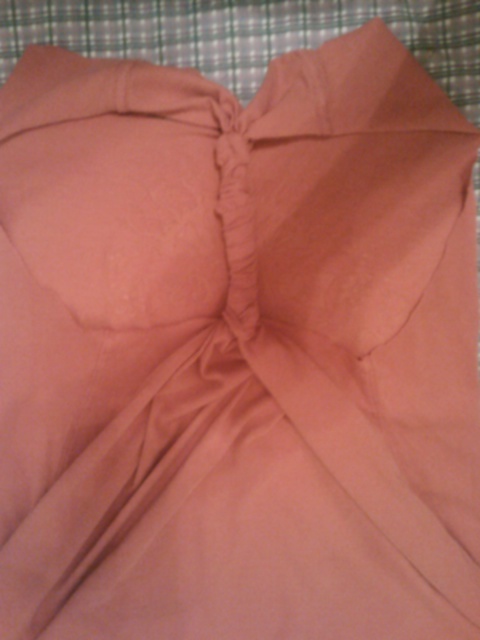 Then wrap it around the “V” shape you just cut out, until you reach the bottom or until you reach your desired depth. 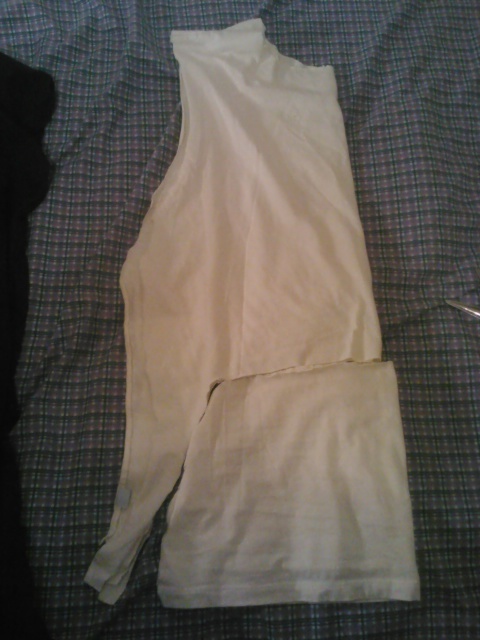 Then tie it off and you’re done! Have fun making a ton of these because they are SUPER easy! !